Open water swim racing has been around for decades, but it’s only been on the Olympic program twice so for many it seems like a new facet of our sport. 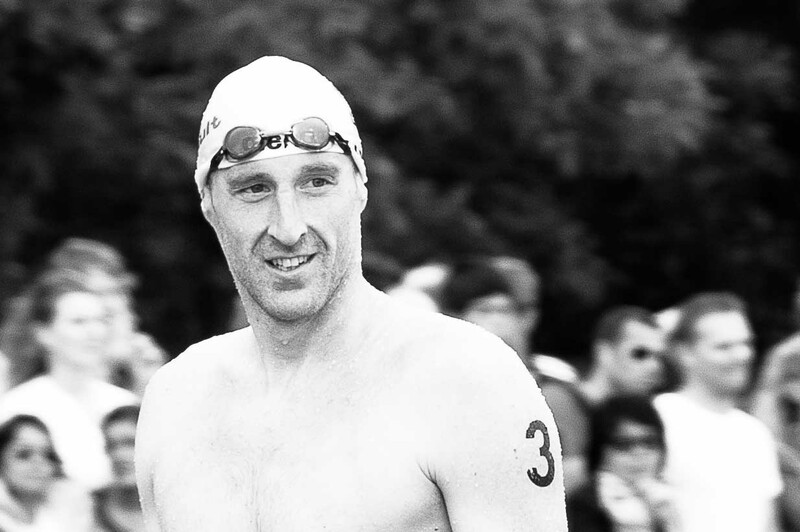 Thomas Lurz is one of the greatest open water swimmers in history and he’s been a major force in this discipline for over a decade. We’ve noted the intricacies and nuances in open water swim racing and today’s 5K team event showcased more interesting aspects. The team event features a mixed gender combination of three swimmers each taking to the water together to swim 5K. Each team is sent off in a time trial format spaced in 60 second intervals. We asked Thomas for some insight behind the German’s dominate win – he was part of the team along with Christian Reichert and Isabelle Harle that won by over one minute. How much time did the German team spend training for this event? We didn’t train much for this team event. We did spend some time in the pool practicing. But we did swim this in Shanghai (Thomas and Isabelle were on the 2011 world championship team) and the European championships, so we had experience with this event. The time was nearly 5 minutes faster than Isabelle’s 5K. Was it a surprise how much speed she gained in swimming with you and Christian? Isabell was really fast. I not expected she’d swim so fast, but it was good teamwork and we’re proud of the medal. Germany prides ourselves on being good in open water and we try to support open water swimming at the age group level. This will be an interesting event to watch in the coming years. This year’s win by the German team was over 4 minutes fast than the 2011 gold medal performance at the 2011 world championship where this event debuted. It’s expected more countries will train for and evaluate the best strategies for the 5K team event – especially if it were to be added to the Olympic program (something swim fans would relish). Have a look at the 2011 and 2013 results to see how much faster the event has become.